Developing Strategic Capabilities (C562) is one of our online MBA students’ final courses. It brings together the concepts from all the previous classes and enables the students to apply what they learned in a practical way. Students form groups of four or five and pick a strategic business unit (SBU) of a publicly traded company they want to investigate for the term. The student groups are tasked with delivering four written reports that identify and analyze the company’s core values, corporate structure, long and short-term goals, financial performance, and competitive landscape among many other metrics. Then in their final deliverable, they provide their recommendations for the company. 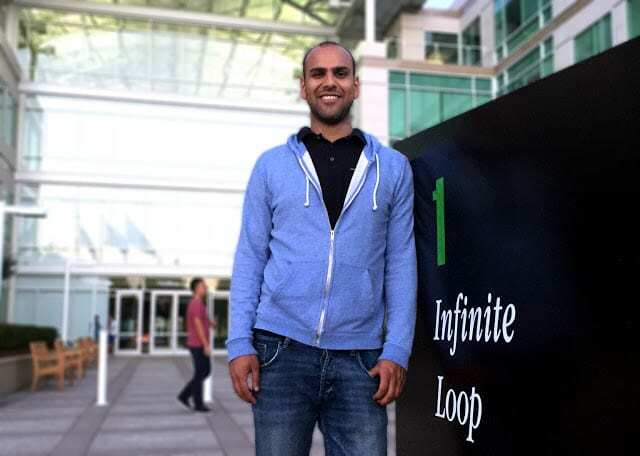 Kash Faheem, a dual-degree MBA/MS in Business Analytics student, saw this as a great opportunity to learn more about Apple, a company he knew he wanted to work for in the future. That’s why he recommended that his group analyze Apple’s iPhone SBU for this course. Having failed at getting an interview by going through Apple’s career website earlier, Kash applied again through the Kelley Graduate Career Services’ (GCS) MBA job board after his course was over (our online students have access to the same job board that our in-residence MBA students use). This time he got the interview and he was well-prepared. Not only had Kash taken the professional development course that Kelley’s GCS leads for students interested in a career transition, but now he had analyzed his target company’s strategy for an entire term. Kash was able to speak about Apple and its products easily because all of the research he did in the course. The thing that especially separated him from his competition was the report. Kash cleaned up the four deliverables and combined them into what turned out to be a 50+ page report to take to the interview. He had a printed copy ready for everyone he met throughout the interview process. All of the interviewers were intrigued and impressed by the report and were very interested in learning about Kash’s insights from the course. What is your new role at Apple? I am a Global Supply Manager for Apple which allows me to utilize both my engineering background as well as what I learned from my Kelley Direct MBA courses. What types of tools and resources did you use to conduct your research? What parts of the paper did you discuss during your interviews with Apple? We discussed a variety of topics and the research that was included in our paper. Some of the topics included Apple’s iPhones core strategy, financials, competitors, SWOT analysis, and customer purchase criteria’s. Overall, I believe there was an appreciation that I came in with a good understanding of the strategic capabilities of the iPhone. What role did GCS and the professional development course play in this process? The professional development course, our career center, and GCS played a critical role in the process. Starting with the professional development class, I learned how to effectively brand myself through resumes, cover letters, and interviews. The career center played an integral role in helping me to frame my resume to the specific industry I was applying to. The Kelley GCS website was the most critical step in the process as it was actually where I found the job listing. Kash Faheem graduated with a BS in Electrical Engineering from California Polytechnic University Pomona. After spending some time working with NASA’s Jet Propulsion Laboratory, he moved to Raytheon Aerospace where he was selected to take part in Raytheon’s Engineering Leadership Rotation Program. He recently accepted an offer from Apple in the San Francisco Bay Area and will be working as a Global Supply Manager. He joined Kelley Direct in the Fall 2013 and completed his MBA in the summer of 2015.